This Meteorite is from Canyon Diablo, AZ. It weighs 44 grams. This item ships free anywhere in the continental USA. This Canyon Diablo, AZ Meteorite weighs over 100 grams. This item ships free anywhere in the continental USA. 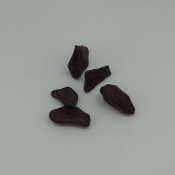 These 5 Canyon Diablo, AZ Meteorites weigh 24 grams. This item ships free anywhere in the continental USA. 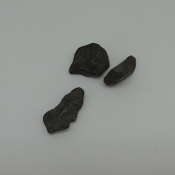 These 3 Canyon Diablo, AZ Meteorites weigh over 10 grams. This item ships free anywhere in the continental USA. These 5 Canyon Diablo, AZ Meteorites weigh 32 grams. This item ships free anywhere in the continental USA. These 3 Canyon Diablo, AZ Meteorites weigh 16 grams. This item ships free anywhere in the continental USA. These 6 Canyon Diablo, AZ Meteorites weigh 19 grams. This item ships free anywhere in the continental USA. 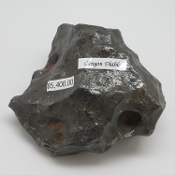 This Canyon Diablo, AZ Meteorite weighs over 23 grams. This item ships free anywhere in the continental USA. This Canyon Diablo, AZ Meteorite weighs over 17 grams. This item ships free anywhere in the continental USA. This Canyon Diablo, AZ Meteorite weighs over 44 grams. This item ships free anywhere in the continental USA. This Argentina Meteorite weighs over 3.5 Lbs. This item ships free anywhere in the continental USA. This Argentina Meteorite weighs over 3 Lbs. This item ships free anywhere in the continental USA. This Meteorite is from Canyon Diablo, AZ. It weighs 18 grams. This item ships free anywhere in the continental USA. This Argentina meteorite weighs 107 grams. This item ships free anywhere in the continental USA. 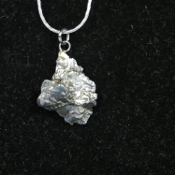 This Meteorite is from Canyon Diablo, AZ. It weighs 39 grams. This item ships free anywhere in the continental USA. This Meteorite is from Canyon Diablo, AZ. It weighs 43 grams. This item ships free anywhere in the continental USA. 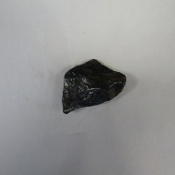 This Meteorite is from Canyon Diablo, AZ. It weighs 27 grams. This item ships free anywhere in the continental USA. This Canyon Diablo, AZ meteorite weighs over 9.5 Lbs. This item ships free anywhere in the continental USA. This Meteorite is from Canyon Diablo, AZ. It weighs 41 grams. This item ships free anywhere in the continental USA. This Meteorite weighs 186 Lbs. Please email for shipping charges. This Meteorite weighs 66 Lbs. Please email for shipping charges.